Photo shows (from left): Mark Kris B. Santiago, Head, Strategic Innovation Office; Manvel Lorenzo L. Tuason, President & CEO; Uriah Idriz C. Velunta, Proj. Manager-Digital Group; Francispito P. Quevedo, SVP & COO; Wendell P. Labre, Head, Marketing Department and JustineMae Amihan, Brand Communication Officer. Finally, I will pay my bills easier ,reliable and hassle-free experience. Most important I will pay my bills in one-stop thru BAYAD CENTER ONLINE. 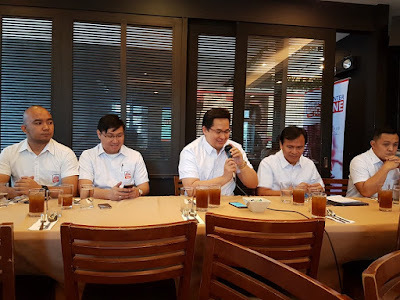 The most important target of Bayad Center Online is primarily caters to overseas Filipino workers and Residents often who send money to pay for utility bills, but end up sending more because funds are misused for other things. This growing concern prompted Bayad center to develop this platform. Also caters to Filipinos in the country who wish to use the Bayad Center facility, but prefers to pay their bills in the comfort of their homes or offices. Paying through BC Online is the same as paying directly to the business center. Philippines our country couldn't stress enough how Filipinos overseas have helped our country. 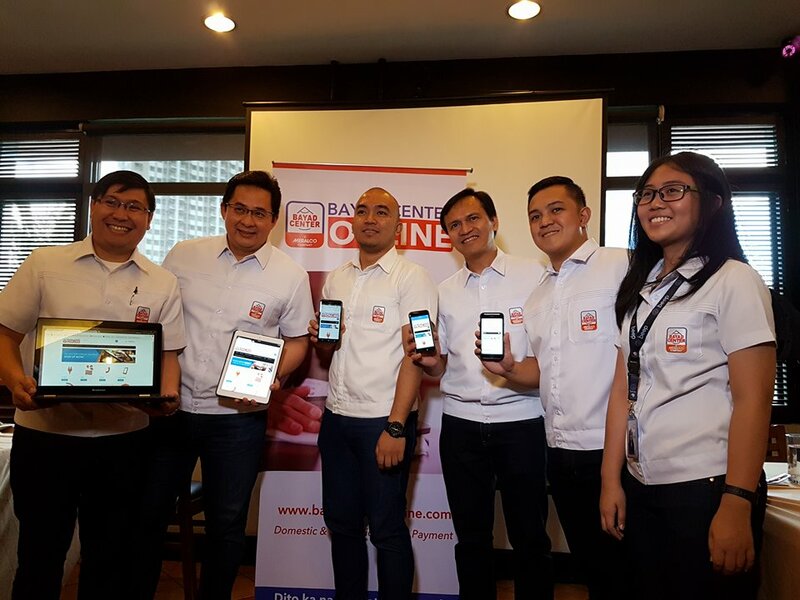 BAYAD CENTER with the advantage of technology and innovation wants to applaud and honor these overseas Pinoys with a service that would enable them to do seamless transactions in aid of their families and loved ones in the country. This is a testament of millions of Filipinos using the service. Overseas remittance does not only help the economy in general but also help improve the quality of living of their recipients, hence, we consider our Kababayans abroad as our modern day heroes. Overseas Pinoys can access www.international.bayadcenteronline.com, whereas domestic customers can transact thru www.domestic bayadcenteronline.com. RATES of BC Online charges the customer with a merchant discount rate of 3.6% of the amount to be paid, which is common for card payments. There is also a minimal system fee of Php 1 for Domestic transactions and Php 20.00 for transactions made abroad. ACCESSIBILITYof the Bayad center online can be accessed through www.bayadcenteronline.com, with no minimum bandwidth required. This means that the facility was built to consider the slowest internet connection from the most remote area, and from varying displays like desktop, tablets, and smartphones. As this is an online facility, BC Online is available 24 hours a day, any day of the week, globally. Initially, BC Online accepts any type of Credit Card as mode of payment. Soon, the facility will allow the use of Debit cards and Electronic Wallets such as GCash and SmartMoney for settlement. Consistent with the Bayad center over-the-counter experience, posting of payments is within 24 hours if not real-time, mainly due to Bayad Center's direct partnership with each Biller Partner . BAYAD CENTER is the pioneer and leader in bills payment services, accepting over 200 types of bills in its multi-channel payment platform. Powering more than 5,000 payment locations nationwide including major malls, supermarkets, courier services, remittance outlets, and other establishments. Aside from its over-the-counter payment channel, BAYAD CENTER also introduced the Touchpay Machine an Automated Payment Machine strategically located in Biller Offices, Business Process outsourcing institutions, Vertical Residential Developments, Drugstores, Gas Stations and other Commercial Establishments. BAYAD CENTER has likewise released its own Pos Machine, the Bayad Center Retail Machine, enabling community-based, neighborhood establishments like sari-sari stores, barbershops, carwash, etc. to accept payments and other services. CIS Bayad Center, Inc. is a wholly-owned subsidiary of the Manila Electric Company (Meralco) and a member of the MVP Group of Companies.